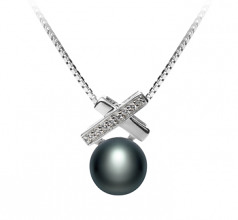 The Klarita black button pearl pendant brings a new meaning to the x’s and o’s. 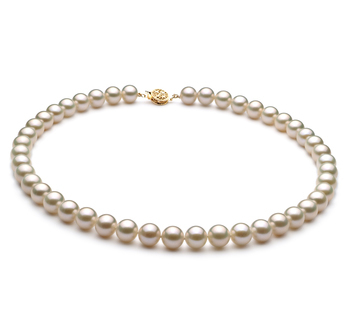 With the uniquely stacked style design, the lustrous AAA grade freshwater pearl will glimmer in all directions. 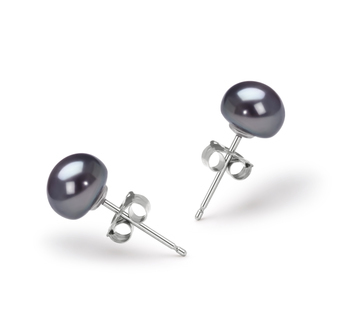 At 7-8mm, this near perfect pearl brings forth an array of colors that blend together and make a smooth and alluring black. 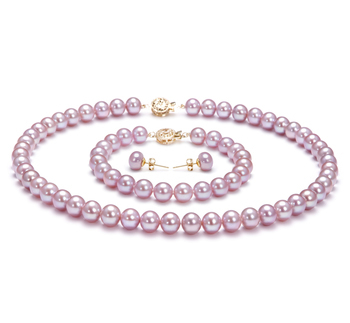 In each twist and turn, one can enjoy the glimmers of purples, greens, and blues of the beautiful freshwater 7-8mm black AAA button-shaped pearl. 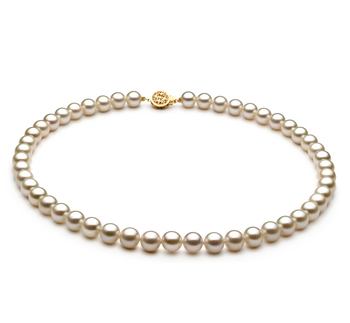 Three round stones set the tone for te 0.55” long silver pendant. 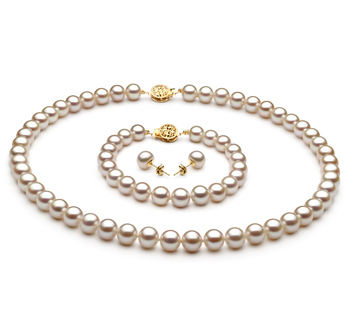 With the forward and front set setting, they offer the perfect glowing companion to the black pearl’s crisp and sharp luster. 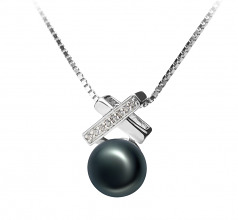 Completing the X, the setback cross piece lays gently alongside the top of the pearl creating the 3-D effect that welcomes your freshwater AAA black pearl. 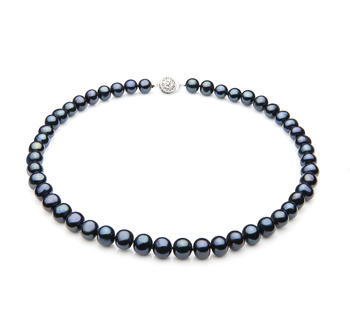 The .0288 lightweight 7-8mm Freshwater Black Pearl brings the AAA grade that makes the button shaped a prized possession. 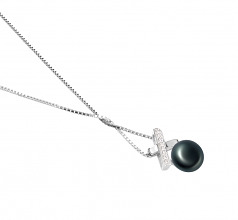 From casual to elegant, the Klarita Black Freshwater Pearl Pendant is a glamorous choice. Your pendant features a warm and elegant Cubic Zirconia Pendant featuring the Black Freshwater 7-8 mm Freshwater Black Pearl and will offer years of enjoyment and compliments while accessing the many ensembles in your wardrobe.